Today is the 50th anniversary of the release of Miles Davis' album Kind of Blue. 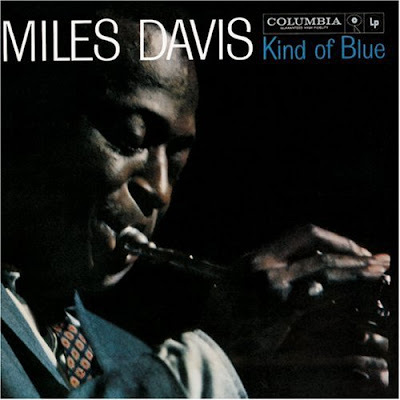 Kind of Blue is a studio album by American jazz musician Miles Davis, released August 17, 1959 on Columbia Records. The sessions featured Davis's ensemble sextet, which included pianists Bill Evans and Wynton Kelly, drummer Jimmy Cobb, bassist Paul Chambers, and saxophonists John Coltrane and Julian 'Cannonball' Adderley. The album was composed as a series of modal sketches, in which each performer was given a set of scales that defined the parameters of their improvisation and style. Though precise figures have been disputed, Kind of Blue has been cited by many music writers as Davis' best-selling album, as well as the best-selling jazz record of all time. On October 7, 2008, the album was certified quadruple platinum in sales by the Recording Industry Association of America. It has also been regarded by many critics as the greatest jazz album of all time and ranks at or near the top of several "best album" lists in disparate genres. In 2002, Kind of Blue was one of 50 recordings chosen that year by the Library of Congress to be added to the National Recording Registry. In 2003, the album was ranked number 12 on Rolling Stone magazine's list of the 500 greatest albums of all time. Davis' Kind of Blue was the first jazz (record) album I ever purchased. Every year since, I've re-discovered it, surprised and enthralled. To my ears, it weaves together the hypnotic stasis of Davis' later In a Silent Way with the straight-ahead musical story-telling of his earlier bop. Or, if you forgive me a beery indulgence: Kind of Blue is jazz on a summer evening, cooling with a Flemish Red Ale, and it's music during a winter storm, warming with a barleywine at hand. The recording itself may be 50 years old, but the music remains fresh today. Suffice it to say: ever new, Kind of Blue. Read an NPR review of the album here. At Amazon, read this review of the much better sound quality of the Legacy CD re-release. (AP) — WASHINGTON - Fifty years after jazz legend Miles Davis recorded "Kind of Blue," the U.S. House of Representatives voted Tuesday to honor the landmark album's contribution to the genre. Davis collaborated on the record with saxophonists John Coltrane and Julian "Cannonball" Adderley, pianists Bill Evans and Wynton Kelly, bassist Paul Chambers and drummer Jimmy Cobb. Rep. John Conyers, a Democrat who sponsored the measure, said the group "made musical history and changed the artistic landscape of this country and in some ways the world." The resolution recognizing the album's 50th anniversary passed on a 409-0 vote. Same as you, the 1st Jazz album/cd I bought and still my favorite. Never gets old. Love the opening chords to "So What", unmistakably Miles. It's been 2 years since the Great One died. 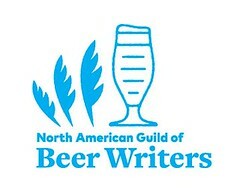 Good news, bad news: Craft beer in mid-2009. 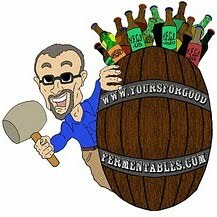 Blogging: Breweries in D.C., Md., & Va.